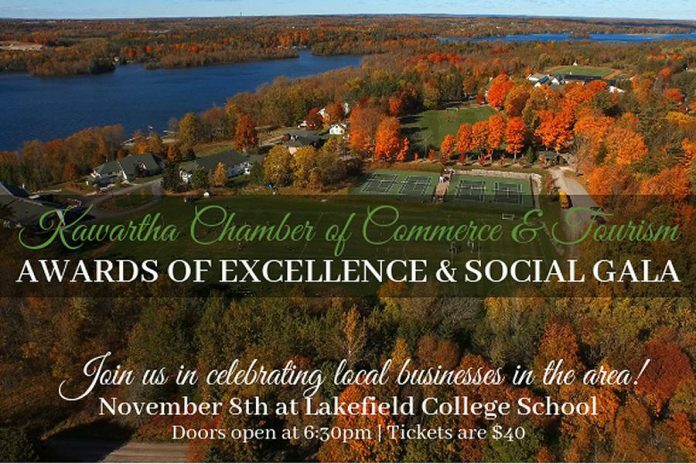 The 19th Annual Awards of Excellence and Social Gala is just two weeks away! Join the Chamber on Thursday, November 8th at Lakefield College School. Tickets are only $40 this year, so bring along your staff to celebrate local businesses! Your ticket includes one complimentary beverage and light hors d’oeuvres. There are only a limited number of tickets available. Tickets can be purchased at kawarthachamber.ca or by calling 705-652-6963. There will be silent and live auctions, a cash bar and music from Rhythm & Grace. Please note: if you plan to purchase additional drinks from the cash bar, there is not an ATM on site. Auction items can be purchased with a credit card. Dress is business attire. The Chamber thanks its Social Gala Sponsor, Shorelines Casino Peterborough. The Chamber is excited to announce that it has added a Special Recognition award to the Awards of Excellence roster, as it was requested by the judging panel due to the high number of nominations and challenging decisions they faced this year. The Chamber thanks ISL Insurance Brokers for sponsoring the award. The Chamber has five amazing packages up for grabs for its live auction at the Awards of Excellence and Social Gala this year! See them all here. 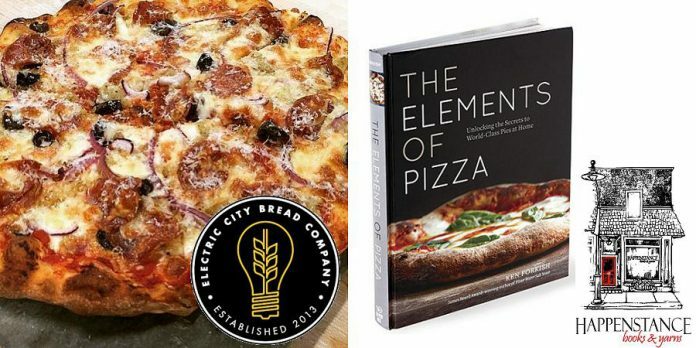 A copy of the book Elements of Pizza from Happenstance Books & Yarns. The Chamber thanks donors Electric City Bread Company and Happenstance Books & Yarns. 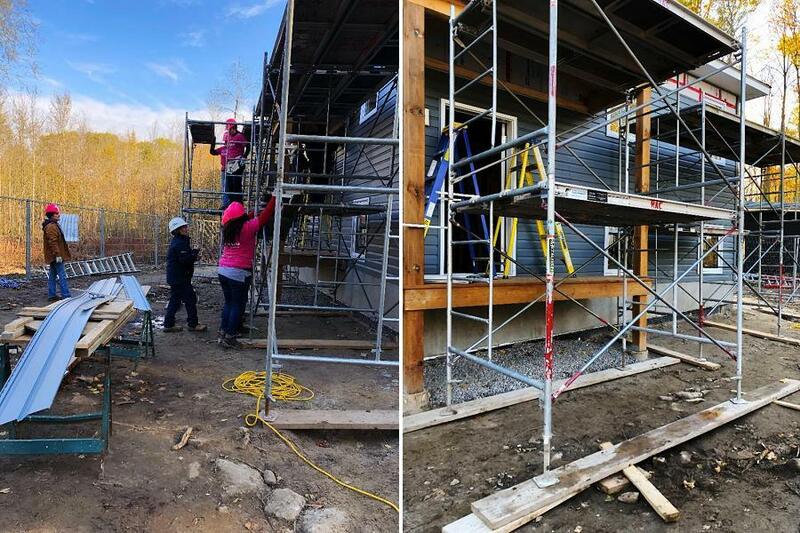 The Chamber took part in the Habitat for Humanity build in Curve Lake First Nation on Monday, October 22nd. Take a look at our Women’s Build Team in action. 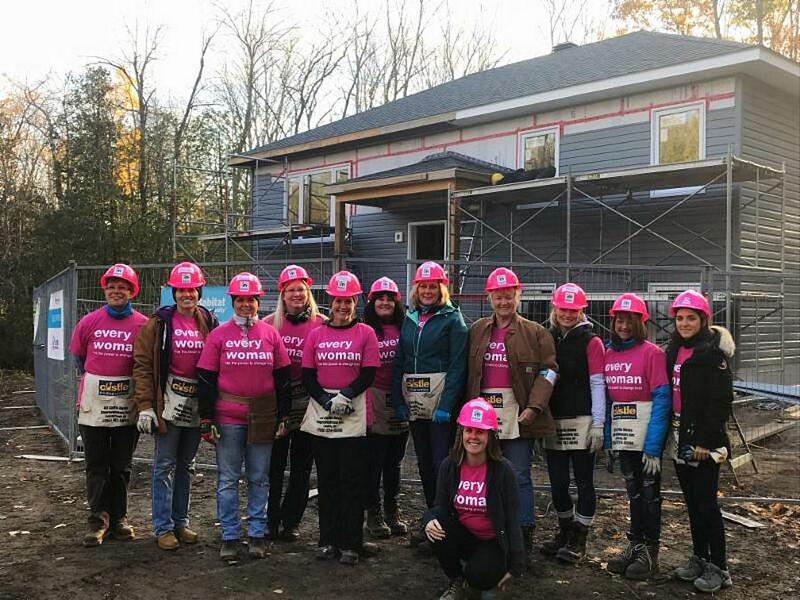 The Chamber thanks everyone who took part in the build day, and would also like to thank all of the individuals and businesses who supported the fundraising efforts. For the past seven years, the Canadian Chamber of Commerce has published its 10 Ways to Build a Canada that Wins, which articulates a series of clear priorities and objectives that, if addressed, will give Canada a competitive edge, improve productivity and grow the economy. It is key that the report reflects the views of businesses big and small throughout Canada, especially in an election year. Participate in a 5-to-10-minute confidential feedback survey. By providing your input, you will be shaping the Canadian Chamber of Commerce’s 2018 message to the federal government and other stakeholders, and telling chambers of commerce at the national, provincial, territorial and local levels about the priorities that are important to you, both as a Canadian and a business person. The deadline to complete the survey is November 13th. Community Care is hosting a Flu Shot Clinic on Wednesday, October 24th from 9 a.m. to 12:30 p.m. at 40 Rabbit Street in Lakefield. “First come, first shot.” Bring your health card. Call 705-652-8655 for more information. Peterborough & the Kawarthas Economic Development’s Business Advisory Centre is hosting their free New Venture Session on Thursday, October 25th from 6 to 7:30 p.m. at VentureNorth (270 George Street N., Peterborough). For more information, contact Mallory at 705-743-0777 ext. 2160 or mcgraham@peterboroughed.ca. Join Lang Pioneer Village Museum for their Historic All Hallows Eve this Friday and Saturday (October 26th and 27th) from 6 to 9 p.m. each night to discover the origins and traditions of Halloween. 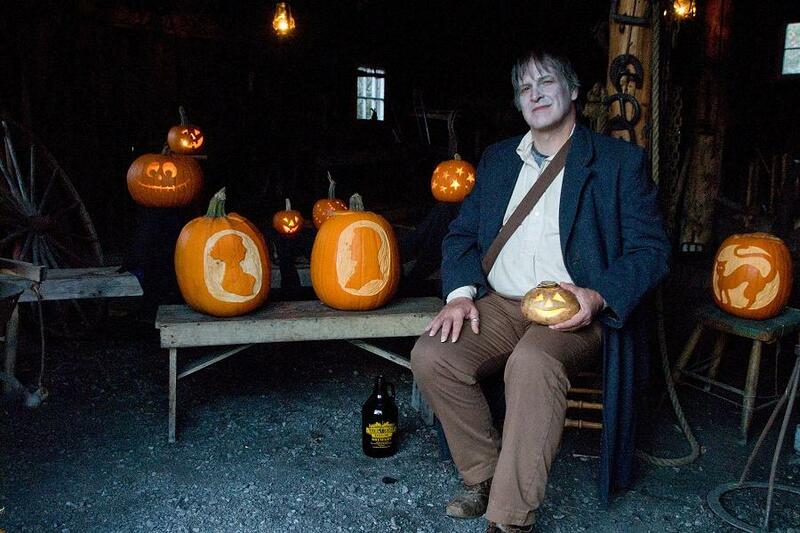 A history of Halloween traditions and much more. Dance Away MS this Saturday, October 27th at Buckhorn Community Centre from 8 to 11:45 p.m.. There will be live music by the “Indian River Band”, Silent & Country Auction, a late lunch, cash bar & dancing! Doors open at 7 p.m.and the dance starts at 8 p.m. This is an Age of Majority event, costumes are optional, and tickets are $20. To buy tickets for the event, contact the BCC at 705-657-8833, or reach out to the MS Society at 705-748-4221 or pat.stockdale@bell.net. 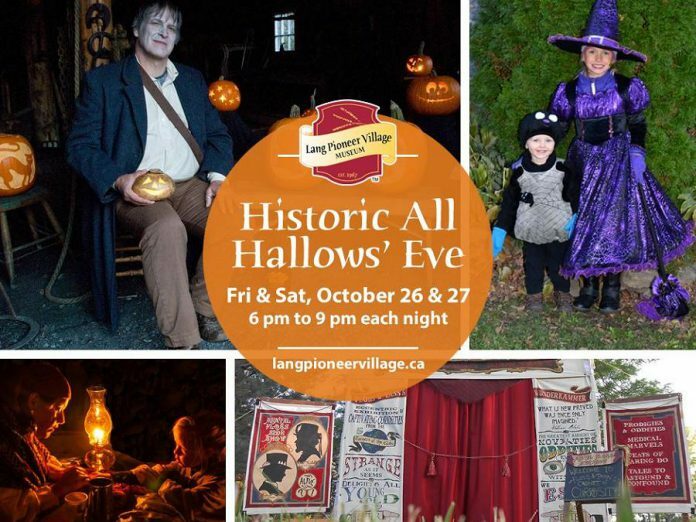 All proceeds in support of MS Peterborough, Kawartha Lakes & Haliburton Chapter. 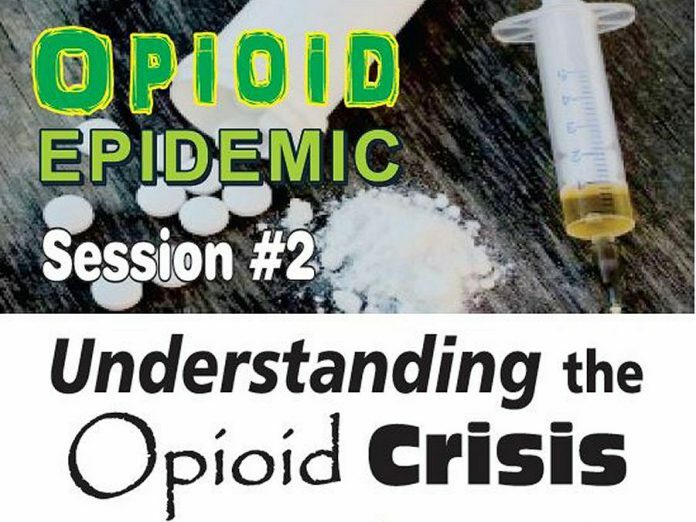 Due to overwhelming interest in the Opioid Information Session held on September 26th (over 500 people attended), Selwyn Outreach Centre has decided to host a second event discussing the issue. The second session will be held on Wednesday, November 7th at 7 p.m. at Selwyn Outreach Centre. Join them to hear three more perspectives on the topic. Speakers include: Tim Farquharson, Deputy Police Chief; Magdy Kamar and Dr. Samier Kamar, pharmacists; and Daryl Ralph, Clinical Counsellor for drug addiction. The event is free, and may help save the life of someone you care about. Selwyn Outreach Centre is also planning on hosting a special First Aid Class on how to deal with an overdose and the administration of Narcan. Stay tuned.